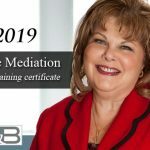 Chicago IL – – February 18, 2016 – Gloria E. Block, Founding Partner at the Chicago family law firm of Hoffenberg & Block, LLC, has been chosen as seminar chairperson for the Illinois Institute for Continuing Legal Education’s Family Law Institute. Ms. Block will preside over IICLE’s brand-new Family Law Institute that will address a of myriad issues facing family law practitioners. This program offers both judicial insight regarding changes to the Illinois Parentage Act and the IMDMA Maintenance Guidelines and practical tips on how to handle child support calculations, division of retirement plans, computer forensics, and social media evidentiary issues. Special considerations related to representing elderly divorcing clients, as well as removal after statutory changes, will also be discussed. 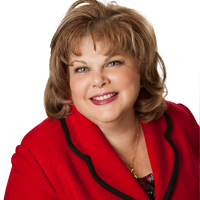 GLORIA E. BLOCK is a founding name partner/principal in the law firm of Hoffenberg & Block, LLC. Ms. Block received her J.D. from Loyola University Law School in 1980 and a B.A. from Northwestern University in 1977. She is a member of the Illinois State Bar Association, the Chicago Bar Association, the Decalogue of Society of Lawyers, and the Forensic Forum. 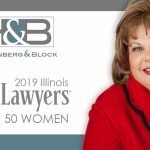 Ms. Block is an attorney admitted to the Illinois State Bar, the United States District Court, Northern District of Illinois; the United States Court of Appeals for the Seventh Circuit; and the United States Supreme Court. She is also an Approved Child Representative; Guardian Ad Litem; Attorney for Child, Circuit Court of Cook County, Illinois. She has presented on many legal topics, including: Panelist: Should Illinois Adopt Rules in Custody Evaluations; Sponsored by AFCC, June 26, 2014; Presenter at Illinois Bar Association Seminar program – Complex Issues in Family Law Seminar on February 12 and March 1, 2004; and “Bankruptcy and Divorce-Essential Tools.” This presentation was repeated for the Matrimonial Committee of the Third Municipal District. Hoffenberg and Block LLC is a full-service Chicago Family Law Firm with offices in downtown Chicago and Lake Forest, IL serving clients from Cook, Lake, DuPage and McHenry counties in Illinois for over 45 years. The firm dedicates its practice exclusively to matters of family law, such as Divorce, Child Custody and Visitation, Spousal and Child Support, Prenuptial Agreements and Modification and Enforcement of existing judgments. A no obligation case evaluation is available to all new clients. 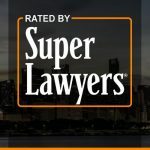 Hoffenberg and Block LLC can be reached directly by calling 312-853-8000, or visiting ChicagoFamilyLawyer.com, where more information on their services and attorneys is available. 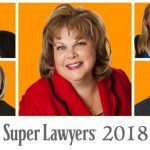 PreviousPrevious post:Attorneys at Hoffenberg & Block LLC Named to 2016 Super Lawyers ListNextNext post:Are Gifts and Loans Considered Income in Child Support Cases?